Starting a new job is a very stressful experience. I would imagine that starting a new driving job as a Professional Driver has a set of challenges that makes it more stressful than a lot of other professions. You’ve got all of your orientation information to remember, policies, procedures and government regulations to adhere to, deadlines to make and strange terminals/shippers/receivers to go to, all while safely and legally operating a very large moving vehicle. This is Strategic Programs data from one of our transportation clients. The chart shows a blue line for Drivers who said they did have meaningful check-ins with their DM (Yes) and a red line for those who said they did not have meaningful check-ins with their DM (No). You can see a noteworthy difference in the satisfaction with all categories based on whether or not a Driver perceived that they were checked-in on by their DM. Something interesting to note that isn’t apparent on this chart is that when I looked at the individual items that people were the most and least satisfied with, the “No” respondents had low scores around “The company was committed to my success as a Driver” and “The company values its Drivers.” The “Yes” respondents did not have these items as low scores. We at Strategic Programs see the same results with every client that asks this question of their respondents and we encourage our clients to share this data with their DMs. 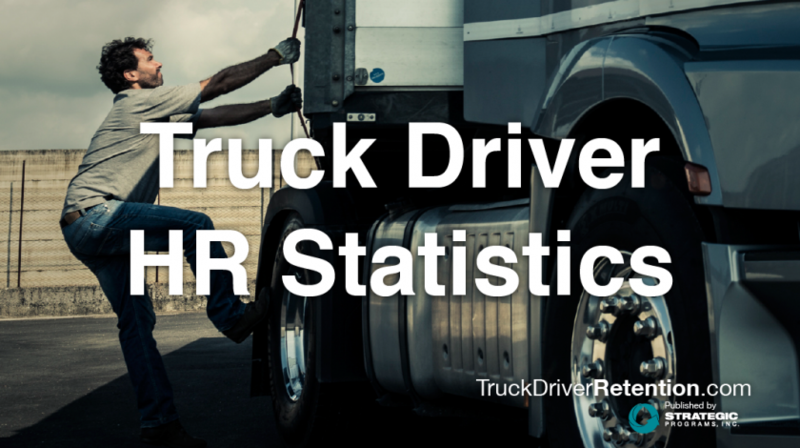 This is hard evidence of the importance of a check-in with new Drivers, and the impact that a connection with a DM can have on a Driver’s overall experiences within an organization.